My little niece used to love to sit with a grown-up book spread across her lap, reading a story out loud — except she couldn’t read yet. She was making it all up — pretending. During play, she invented new words. One time we were playing with some toys, and I asked one of their names. Without missing a beat, she made up the name Hoken. Hoken sounds to me like a great name for a character in a science fiction or fantasy story. Play and pretend can lead to some innovative writing ideas, whether you’re looking for a simple concept for starting a new writing project or trying to break through a block in a project that you’re already working on. Through play and pretend, children learn about themselves and their environment. You’d think that with all that practice, adults would have even better imaginations than children, but that’s not the case. Kids will engage their imaginations with hardly any effort. They don’t stop to think or reason; they just react intuitively. The first time I asked my niece who put the moon in the sky, she said, “You did.” And when I asked my nephew the same question, his response was “Peter Pan.” Sometimes, it’s Mommy or Daddy who put the moon the sky. Sometimes, it’s Batman. Kids aren’t confined by rules, science, or belief systems. They are delightfully open-minded. When I’m playing with my niece and nephew, I get tons of writing ideas: a story about someone who put the moon in the sky, maybe a superhero named Hoken who can fly. If we grown-ups could shake off the realities we’ve all come to accept about the world, and if we could learn to play freely, without rules or limitations, then we could unearth an endless fountain of ideas and inspiration. I recently got stuck in a story that I was working on. The characters were in the middle of a conflict, and I had to find a way to get them out of it. There were plenty of options, but I wasn’t sure which one they would choose. I tried to think through it, but I just thought myself in circles. I tried writing a list of possibilities, but that didn’t help me make a choice. Then I decided to do a little pretending. It wouldn’t be interesting to show the characters working out a plan for overcoming their conflict in the narrative, but I could certainly write a dialogue scene between them, and then file it away and write the action scene. I sat there and played out a conversation between two characters. It was almost as if I was performing an impromptu scene. It was a little awkward at first, but the conversation moved along. The characters worked out a plan, and I saw the path they would take. I was basically playing and pretending — play-acting in a little one-person scene and pretending that I was my characters. And after struggling for several days to work out a problem, I got to a solution in just a few minutes. I think that’s pretty amazing. Those of us who are on a perpetual quest for writing ideas could benefit from a little playing and pretending. You might feel silly at first, but if you relax and trust your imagination, you might end up with some incredible ideas for a writing project. Become one of your characters: Get dressed up like your character, and then go to a place where nobody knows you, in the next town or different part of the city. Act like your character, do what what your character would do. You can even do this around the house. Get a recording device and act out the dialogue between your characters: You can do this with a piece of dialogue you’ve already written to see how it sounds. If you use a video recorder and make an effort to get into character, you can also find out how your characters move — which gestures and body language they use. 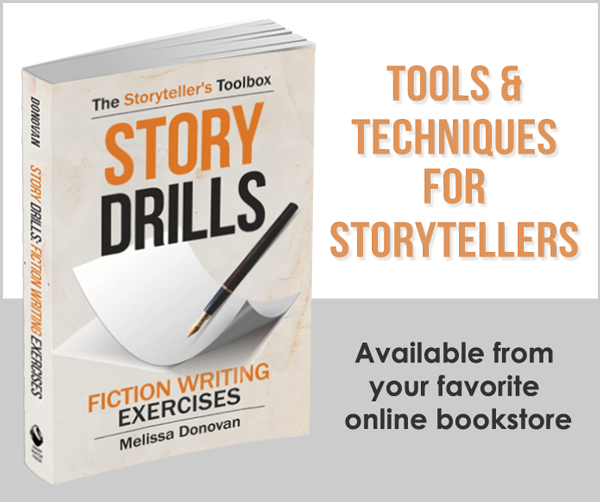 Use action figures to work out a scene in your story: Don’t have any? Head to a junk store. Any toys will do. Set up the scene with items from around your house and play out their dialogue and actions. Capture it by taking photos or take notes as you work out your scene. Playing and pretending is not for everyone. Kids do it naturally, but for grown-ups, it can be awkward and uncomfortable. On the other hand, maybe one of your writer friends or a child in your family would be willing to play along with you. You’ll never know unless you try. 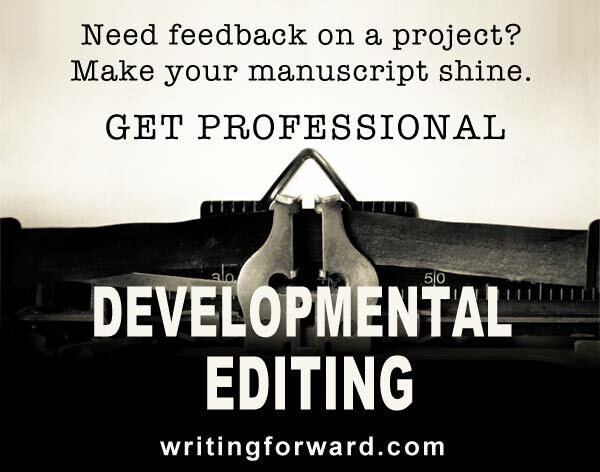 Have you ever acted out a scene or used play and pretend to develop writing ideas? Do you think these techniques would work for you? What do you do when you’re stuck or need fresh ideas for new projects? Share your thoughts and experiences by leaving a comment. Well, I play with puppets. I can think of many answers to “who put the moon in the sky?” and also come up with explanations and backstories for the answers. They will most likely not be accepted by the scientific community, but will be perfectly acceptable answers if you are talking to a puppet. In their world, all these nonsensical answers can make sense. I bet puppets would be a great way to act out scenes and dialogue for any writer. I play puppets with my niece and nephew sometimes, but I haven’t used them for my own writing. Maybe I’ll have to go puppet shopping one of these days, since I only have a couple around the house (a lamb and a dragon, of all things). When I get the chance to play with my friend’s kids, especially with stuffed animals or plush toys, I…pretty much become their age. When I play with boys, it’s usually just zaniness and nonsense, but with girls I’m a bit more calm and leave room for a bit of context. Like when I was playing with my friend’s little sister and her stuffed animals, we made this whole story of a horse giving birth to a unicorn, and I played the part of the husband bear who kept passing out in comical fashion. Before I knew it, the time flew by and I didn’t realize how much it exercised my creative muscles and hers, seeing as no one in her family ever has time to play with her creatively. My point basically is, I don’t feel awkward or uncomfortable unleashing that inner child. I feel awkward and uncomfortable trying to be a serious adult with the obligation to make something out of my self lol. I have to admit that I don’t feel uncomfortable acting out my inner child when I’m around my niece and nephew. I felt a little strange when I was speaking out a conversation between two of my characters, but the awkwardness passed in a couple of minutes. Not only does all this play and pretend bring about writing ideas, it’s also a lot of fun, and that’s always good for the creative soul! As an actor as well as a writer, i find that scenes or plot devices often show up via dialogue that comes to my head first. A fragment of an argument, or especially a speech that comes to my mind. Sometimes I will say those fragments out loud to see if they sound as good as they do in my head. Sometimes I’m astounded at how different dialogue sounds when read aloud. I have used reading aloud for proofreading for many years, but that’s to catch typos and mistakes. With dialogue, it actually captures the characters’ unique voices. It’s quite fascinating and helpful. LOL! I keep thinking about what I have around the house that could be used for portraying my characters. The possibilities are limitless: puppets, paper dolls, action figures, stuffed animals. Just thinking about it engages my imagination! Act your shoe size not your age. I play pretend all the time although I’ve never dressed up as a character and acted out in public. Unfortunately, I rarely get round to writing down what’s in my head. I have never dressed up as a character and acted out in public either. I doubt that’s something I could bring myself to do, but I am having a lot of fun playing out the dialogue in my story. Why not write it down? You could also use a voice or video recorder to capture your enactments. I was more interested in stuffed animals than dolls, too. I don’t remember anyone trying to inhibit my creativity. It seems like it faded as I became more aware of how adults behaved and as my interests shifted to other things. The good news is that it can be recaptured! I go jogging. I helps me think better. Yes, exercise is a good for stimulating creativity.